I recently tried out the DinkleDooz cloth diaper. 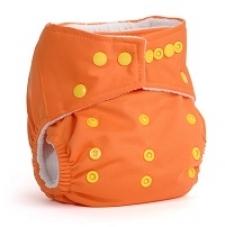 It is a one size diaper that fits most babies from birth to potty training (8-35lbs.) The lovely people from gogonatural sent over an orange one for review. They do not just carry diapers they also have many other catagories to choose from. 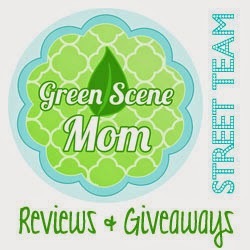 Such as diaper accessories, For mom, baby gear, for the home, gifts and more. They sent over the orange DinkleDooz which retails for $15.95. The some as a single or they have them by the pack. You can purchase a 3 pack for $47.10. 6 pack for $92.70, and a 12 pack for $179.40. In the packs you can also choose different color if you would like. They come in six colors orange, blue, green, pink, white, and red. They come with 2 microfiber inserts. A small size and a large. DinkleDooz us the simple abs sensitive cloth diapering system for a progressive generation of parents. Born from the desire to take modern cloth diapering mainstream, they focused on only the most requested features (pocket diaper, snap closure, and adjustable rise), married the best materials for baby, and lowered the price for mommy and daddy. They also offer free shipping with a purchase of $75.00 or more. Machine wash HOT and tumble dry. Low heat only Do not expose to high heat. No fabric softeners, No chlorine bleach, no rash creams. One lucky TTGG winner is going to win a DinkleDooz diaper in the color of their choice! Go over to gogonatural and tell me which color you would pick if you win and also tell me another item you like from their store. Extra Entries: Please leave a separate comment for each one and your e-mail. Thanks to the Pr company or representative for sending this product for review. My opinions are honest and i was not paid for this review. I would love the Orange color and I wanna try a Thirsties Duo Wrap! I follow via gfc, I'd choose a Red Dinkledooz and I also like the GroVia AIO. I follow you on GFC as Mrs. Martinet. I also liked the Sugar Peas wool covers. I follow gogonatural on twitter as carriethegood. I follow through GFC. I would pick the green diaper and would also like to try their cloth wipes. I would like a Dinkledooz in red! I like the organic hemp flats from Willowpads that gogonatural offers. following you via gfc and I would choose orange. I would also like to try a grovia AIO diaper. I follow as allisonbarnes on gfc. I like the orange colour. I also like thirties duo fab fitted. I would choose the green Dinkledooz. I would also love to try out the Applecheeks! I Love the red dinkledooz. And I really want to try the Babykciks hemparooz duz it all! I'd choose the Red and I'd also love an AppleCheeks diaper! I would choose orange and I would like a good wet bag. I sent a friend request on FB as Melissa D.E. 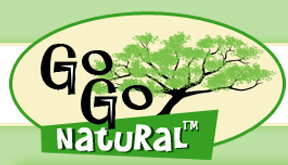 I like GoGo Natural on FB as Melissa D. E.